The relationship between archaeology and the Bible has evolved massively over the last hundred or so years. Back then people set out to verify the biblical accounts with the results of their digs, and as archaeology was still a relatively young science, early signs were very positive. People like William Albright found what they were looking for and the Biblical Archaeology movement grew out of the work of these initial pioneers. However, as archaeology matured as a discipline it was clear that things were not as simple as they had first appeared. If the early pioneers had dug where they thought Jericho was, and found a city whose walls had indeed been destroyed, then that had been taken of proof of the accounts in Joshua of Jericho's destruction. But when evidence started to emerge that this had perhaps occurred around 1550BCE rather than significantly later, what then? What do we make of the biblical accounts of what happened? Such is the question at the heart of Gary Glassman's documentary The Bible's Buried Secrets. Running at close to two hours it looks at the historicity of the Old Testament in the light of the findings of archaeology and textual criticism. Even before it aired on PBS last week certain groups had sought to protest about it, refusing to listen to the evidence it presented before making their judgement. The programme itself focuses on two main parts of the Bible - the Torah and the conquest under Joshua; and the joint kingdom of David and Solomon when the glory of Israel was said to be at its peak. It then goes on to address some secondary issues such as the movement from polytheism into fully fledged monotheism. Historical evidence relating to the earliest part of the Bible is fairly scant, however. As the programme rightly says, there's nothing at all that helps us corroborate the Abraham story. But there is the Merneptah Stele (c.1208BC), perhaps the first piece of evidence aside from the Bible which confirms Israel's existence, not to mention the discovery of the Zayit Stone which suggests that the written Hebrew alphabet goes back to at least 950BC. Both get a good airing here. There's also passing mention of the lack of evidence (thus far) of hundreds of thousands of people wandering in the Sinai desert for 40 years, but, surprisingly no mention of the various inscriptions mentioning the Habiru/Apiru. All of which brings us to the evidence of Joshua's conquest. As noted above, there's evidence of a destroyed city wall at Jericho, and the programme also tells us about similar findings at Ai and Hazor. 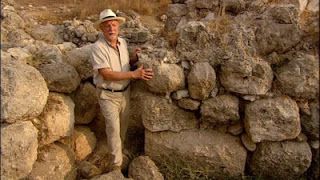 But, as the programmes talking heads tell us, the dating of these walls is 1550 BCE, 2200BCE and 1200BC respectively, meaning that, at best, only one of these destructions can be credited to Joshua (although personally, I find it strange that anyone would be keen to 'credit' such atrocities to one of God's followers anyway). The programme puts forward an alternative theory; since the evidence from Hazor suggests that it fell not because of outside sources but from internal revolt - the have-nots deposing their overlords in the upper city - and there is good reason to think that this was not just happening in Hazor but all over Canaan, perhaps it is these proletariat Canaanites who ultimately became the Israelites. 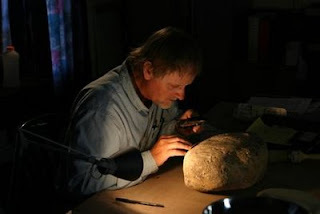 But it's a little unclear, however, whether the evidence really supports such a theory or whether this is just a convenient story to fill in the gaps in the archaeological record. The documentary then turns its attention to the question of how these freshly liberated Canaanites happened upon their monotheistic beliefs. Citing evidence of a God YHW from Midian, the theory is put forward that a group of Canaanites escaped from Egypt, got converted into followers of YHW and travelled through Midian, and, in turn, became the greatest exponents of their new found religion. But as a theory it raises more questions than it answers. Why did the Canaanites go to Midian in the first place instead of straight 'home'. And, having settled in Midian long enough to adopt their religion, why did they then move on? And how did they escape from the Egyptians? And how is this any better as a theory than the one where a charismatic leader returns from Midian because he thinks his new found God has told him to lead his people to freedom? There significantly less such speculation in the second part of the documentary which jumps to the time of David and Solomon. 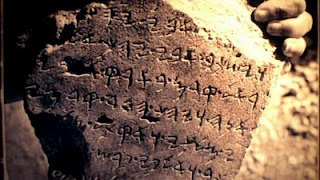 First up is the 1993 discovery of the Tel Dan Stele, an inscription referring to the house of David (making David the earliest Biblical character to have been mentioned outside of the Bible). There's further finds relating to David as well. 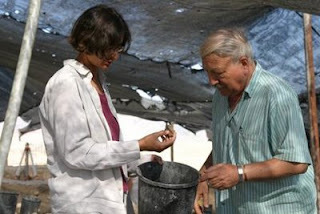 Eilat Mazar is interviewed about her claim to have discovered David's palace. 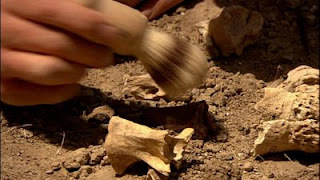 It proves to be the film's most controversial moment as it unpacks the basis of Mazar's claim (based on Albright's dating methodology), but then turns to carbon dating to debunk her theory, before ultimately stating that the majority of archaeologists support Mazar's claims. Such disagreements are largely absent from this documentary, indeed not one of the talking heads attempts to assert the infallibility of the Bible, or attempts to dispute the fact that much of the Old Testament narrative in uncorroborated. Whilst, I suppose, that leaves it open to a charge of being one-sided, it actually proves to be a wise choice. Liberated from having to devote valuable screen time from such debates it's able to lay out the evidence its audience to consider, rather than having everything bogged down in arguments that are rooted in theology rather than archaeology. With the debate over whether or not Mazar has found David's palace left up in the air, The Bible's Buried Secrets moves on to look at Solomon. It establishes that three matching gates houses probably were built during his era and discusses the significance and design of his temple. There's a brief mention of the Israelites worship of idols alongside the worship of God before it's time to move on to Solomon's descendant Josiah. Having previously introduced us to the "J" and "E" sources, we're now told about the discovery of Deuteronomy and the "D" source. 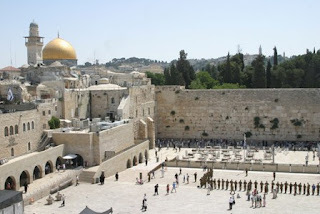 Yet strangely, the programme informs us, it was not the rise of piety under Josiah's reforms that ushered in a more faithful period of monotheism, but a time of national disaster - the destruction of Solomon's temple in 586BCE. This caused a reform of Judaism and the realisation that it was the Israelites polytheism that had lead to their downfall. 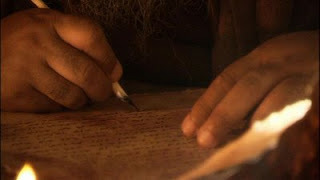 In one of several dramatisations, we're shown Ezra, less than 50 years after the fall of the temple, reading the Torah to his people and instructing them to follow it as their ancestors never did. The dramatisations are actually fairly few and far between. Visually speaking the film much prefers turning classic illustrations of the biblical stories and sliding different elements of them around to give the impression of a 3D image. But the film's real triumph, visually at least, is the range of on-site footage taken from the very sites that are being discussed. This really gives a feel for the subject matter being discussed and brings it home far more. There's also a great range of experts on show - 28 by my count (not including the unlikely choice of Liev Schreiber as narrator)1, and the different excerpts are kept fairly punchy without things feeling too rushed. In fact Glassman's directing is well disciplined, never allowing one section of his ocerall narrative to outstay its welcome. Instead subtitles point those viewers wanting to find out more in the direction of the official website where more detailed articles await them. Not everything is quite as rosy. The dramatic reconstructions never seemed, to me at least, particularly believable, and, at certain points, as is inevitable with a project with such a large scope, some of the more complex issues were over simplified. And of course, occasionally, though to its credit it is only occasionally, the film sensationalises things a little too much - after all much of this information has been around for decades now. But of course, to many of the film's viewers, much of this will be new. And for a mainstream documentary aimed at non-experts The Bible's Buried Secrets does a commendable job exploring the historical evidence behind part 1 of the world's number 1 best seller. The Bible's Buried Secrets is currently available to view online. As I mentioned back in September Barbara Nicolosi has been rewriting Benedict Fitzgerald's screenplay Myriam, Mother of the Christ, renaming it in the process to Mary, Mother of Christ. 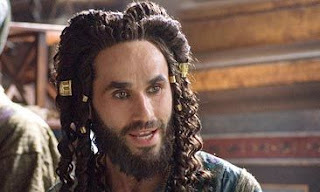 The latest news from Nicolosi's blog is that a "major star" has expressed interest in playing King Herod on the proviso that there's "a little beefing up of the role of Herod in the movie". The said star's suggestion was that Herod might "show up at the scene of the slaughter of the innocents, and then make a speech to one of the dead babies". Anyway, having spent Thursday and Friday attempting to right the scene, she's now decided to ask the readers of her blog if they have any ideas of what Herod might say. So if you do then you can email her your suggestions. I thought it might be fun, though, to post a few suggestions here as well - both the serious ones and some perhaps more humorous ideas. Kyle Smith has spotted that The Silver Chalice is being released on DVD next February. This seems a tad cynical given that star actor Paul Newman died less than 2 months ago. Newman hated the film so much that when it aired on TV in 1966 he took out a full page advert apologising for his performance. According to Wikipedia the tactic backfired and the screening brought in higher than expected viewing figures. Peter Chattaway covers this under the heading Bible movie completist alert!, but I can't help feeling that the timing of this DVD's release is targeted more at Paul Newman completists than anyone else. No word yet on what, if any, extras will be included. My review of the film from last year is here. My Dad had a stroke in the early hours of Sunday morning so I've been away for a few days. It's no longer life threatening, but he has temporarily lost the use of the left side of his body. Thankfully he's already making good progress even though it may mean that for the second year in a row a member of the Page family will spend Christmas in hospital. Hopefully, he'll get out before then. Time will tell. Anyway, as a result I've not yet had a chance to watch The Bible's Buried Secrets or write any kind of review. Thankfully Jim West blogged the event live and has also linked to an article on the film in The Christian Post. Elsewhere, James F. McGrath has posted a few of his thoughts at Exploring our Matrix. 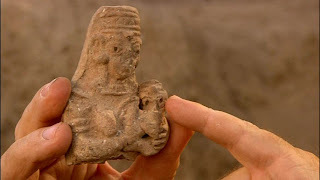 He also links to blog posts on this documentary from Alan Boyle, Paleojudaica, NT Wrong, Biblia Hebraica, Thaddeus Nelson and The Archaeological Review. I'll hopefully catch this one shortly and hope to offer my own thoughts in time for next month's Biblical Studies Carnival. It's under a week until PBS's The Bible Buried's Secrets airs on 19th November and there are a number of things to report. Firstly there are a number of clips available online, including a 3 minute preview and two excerpts on YouTube (Did God Have a Wife? and Recreating the Temple). The official website also seems to have grown in size, with ten relatively substantial articles looking at the individual issues raised in the film, as well as some soundbites from different clergy, some behind the scenes videos and a teacher's guide. It also appears that more will appear online after the programme has aired. Eventually this link will allow you to watch the whole programme online and a few days after that we'll also be able to view the transcript. There's also meant to be a facebook page for it, although all I could find earlier was a group protesting about the programme and urging congress to stop funding them. They link to an article at the Orlando Sentinel which appears to be down now, but it may be the same article that Jim West linked to earlier. There, the Sentinel's TV critic Hal Boedeker calls it "low-key, detailed and scholarly". And speaking of scholars, Nova have set up an "ask the experts" feature where people can email in questions and a selection will be answered by a panel consisting of Carol Meyers (Duke), William Dever (University of Arizona) and Stonehill College's Michael Coogan. I'm looking forward to seeing this, though I'm not sure what I'll make of it. Much of it I am already familiar with, and both Boedeker's comments and the effort that has gone into the website suggest that this will be a serious effort to engage with the various issues surrounding the historicity of the Old Testament. I've been enjoying Mark Goodacre's series The Dating Game about determining dates for the writing of the New Testament. One of the main aims of this series was for Mark to prep. his paper for this year's SBL conference "Dating the Crucial Sources for Early Christianity". Having drawn the series to a close he has now posted the full paper online. There are a few places I'd like to see Mark go into more detail, not least the other reasons for dating Thomas as later than the synoptic gospels, but it's a great introduction to a subject I've always found rather interesting. There's been a lot of talk about Noah films round here recently, but as the numbers of movies based on the story of the ark got higher and higher, so it became more and more inevitable that some of them would begin to falter. I'm surprised, though, that one of the apparent strugglers is Gaumont's Rock the Boat. I say "apparent" because whilst a recent Variety article suggested Rock the Boat had been delayed because of financial difficulties, they were keen to stress it was based on "rumours". There's little info at the Gaumont website, other than a brief index page and the image I found last time I visited the site seems to have been replaced by the one above. Secondly, FilmChat pieces together the evidence from two contrasting stories in Variety and Hollywood Reporter regarding The Flood (Promenade Pictures). It appears that Promenade's president and COO, Cindy Bond, has formed another production company called Mission Pictures, so that both companies will be producing this film. I also note that both publications are now calling this film Noah's Ark: The New Beginning - a possibility raised during FilmChat's interview with Bond back in February. I've been meaning to post this for weeks and weeks, but for some reason I've failed to, delaying other plans elsewhere. Anyway, perhaps as long as two months ago now, I had my first viewing of Sunset Boulevard. It was one of those films I'd been meaning to see for ages, and as I was reading Robert S. Birchard's "Cecil B. DeMille's Hollywood" it seemed a particularly good time. Unsurprisingly, the scene which most caught my attention was the one where Norma Desmond (played with relish by Gloria Swanson) goes to the Paramount Studio to meet her former director Cecil B. DeMille. For those not in the know, DeMille plays himself and it's interesting to see how closely his brief cameo coincides with the portrait of him in Birchard's book. Birchard repeatedly cites examples of DeMille's faithfulness to, and his care for, his former stars. Here he has a difficult case to deal with; one of his former, silent, leading ladies is deluding herself that she can make a comeback and has sent DeMille her own script. Meanwhile, one of DeMille's team has contacted Norma to try and borrow her vintage car for another film. Misinterpreting a call from DeMille's office as a sign of his interest in her script she rushes to Paramount to meet with him. There she is treated like the star she once was (see picture below), not least by another DeMille old timer who lets her experience life in the spotlight for one final brief moment. DeMille's sensitivity and care is apparent throughout, and whilst we should not forget that hie words are both scripted and directed, it also seems to come very easily to someone who only stepped in front of the cameras to act on a handful of occasions. The other thing that grabbed my attention was the fact that this scene appears to take place on the set of Samson and Delilah. I don't know much about this kind of stuff, but I would guess that this is the real set of Samson and Delilah. Firstly, Henry Wilcoxon (above) is filmed, but is not given any dialogue. 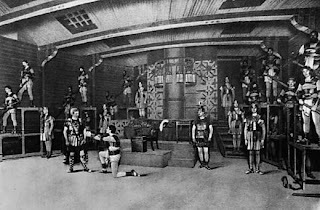 Wilcoxon played a leading role in Samson and Delilah, but was also DeMille's associate producer . His presence would be easily explained if the Sunset Boulevard crew came onto the Samson and Delilah set, but it's unlikely that they would pay a star such as Wilcoxon just to be an extra. Secondly, the scene in question is being filmed on a studio sound stage as most of Samson and Delilah was. Would the makers of Sunset Boulevard really build a set that was identical to one that already existed? I suppose there is the possibility that the existing set didn't give the the right angles for the pulled back shots they required, but it still seems like the most probable answer? One final point, it took me a little while to figure out the chronology. After all Sunset Boulevard is set in, what was then, the modern day, so audiences assume that it's 1950. But Samson and Delilah was actually released the year before in 1949 suggesting that Boulevard actually takes place 1948-1949. I can't remember if there is any other evidence in the film that suggests a more specific date. Various news outlets (BBC, The Times, The Independent, The Guardian, and The Telegraph) are reporting that Ben Hur is to be brought back to the stage. As Peter Chattaway points out"Long before it became three precedent-setting movies...Ben-Hur was dramatized for the stage". It was in fact a Broadway smash, featuring live horses running on a treadmill for the chariot scenes. The new production will take place next year in the O2 stadium in London (formerly known as the Millennium Dome), and will feature over 400 performers and 100 animals, and, according to The Telegraph, it will be pretty spectacular. Combining light, sound, water, wind and pyrotechnic effects, the show will be performed in the round as if in a Roman amphitheatre. The centrepiece will be the chariot race in which five teams of four horses will race round the track at up to 35mph. I'm hoping to go an see it, but we'll have to see what's happening nearer the time. I wonder whether it will open before or after the forthcoming Ben Hur TV series. By the way, the above photo is taken from the original Broadway stage production, which is discussed at some length in the extras for the four-disc DVD release of the film. Plans for yet another Noah film have been announced by Illuminated Films (see the "News" section). This time it's Geraldine McCaughrean's Whitbread award-winning novel "Not the End of the World". It sounds like this one might be a little more controversial than most of the other eight Noah films that are currently in production. The book's synopsis explains how the story is told through the eyes of Noah's fictional daughter, Timna who at one point "watches on in horror as her friends and neighbours are washed, indeed sometimes pushed, away to their deaths". She also somehow sets "in motion a chain of events that will drastically affect God's plan". Having covered the gospels in 1951 and Acts in 1957, The Living Bible series turned to the Old Testament in 1958 with 14 episodes from Abraham to Elijah. The Moses story was given two episodes: Moses, Called by God which covered the events in Exodus up to the crossing of the Sea of Reeds; and Moses, Leader of God's People which covers Israel's wilderness years. Given that just the year before DeMille's second version of The Ten Commandments had been playing in cinemas it's interesting to see how the two productions compare. 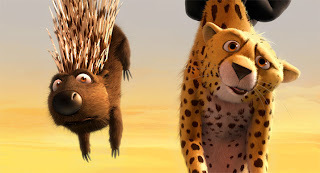 Because the latter films were part of a series, the intention behind their created was not a direct rebuttal, even if aspects of the film tries to put the record straight. That said, I'd argue that films which cover the same material as an immensely popular film very shortly after it, are perhaps those that are least influenced by it. It's too early for intentional homage, any copying would be too obvious to the casual viewer. Furthermore, any filmmaker visiting the material so soon after a major release would, in all probability, already have had their own strong ideas about how the story should be told. But a decade later, it would be likely that filmmakers would have been influenced before they started thinking through how they would shoot the story. In this particular case, it was inevitable that the two productions would be very different. The Living Bible series typically adopted a slavish dependence on the Biblical text, whereas DeMille added in a huge amount of extra-biblical material. And then there's the budget. Whilst DeMille saves his special effects for mere a handful of scenes, everything about the latter two films suggest they were made for the smallest possible budget. 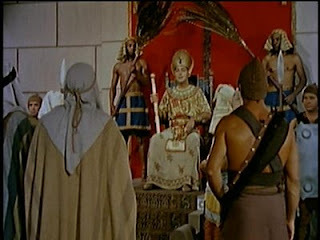 There's no eerie greenish mist stealing away the Egyptians' first born, just a scene in Pharaoh's palace moments later. Heston's staff morphed effortlessly into a snake. ; here there's just a cheap jump cut. 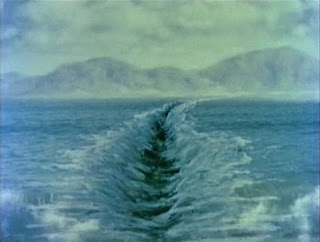 Ironically, the best managed effect occurs during the parting of the Red Sea when the latter film throws aside biblical fidelity in favour of a DeMillean instant parting (although it's perhaps DeMille's 1923 version that is more the influence here than his 1956 film). All of that aside, this is one of the stronger entries in the Living Bible Series. The uncredited actor playing Moses has a few good moments and the film's pacing is very good. In particular, many films about Moses skip a plague or two, presumably to avoid monotony. But here they include all ten without things ever feeling dragged out. And there's something very refreshing in the way which this film sticks to the basic story without trying to puff up the relationship between Moses and Ramsees. In fact the Pharaoh's are never even named in this particular film. This is the only time, at least that I can think of, where Moses's adopted mother (here Pharaoh's daughter) both recognises and openly acknowledges that the baby that has just been pulled from the Nile is an Israelite. It's an interesting angle, particularly as it leads much more naturally to the conversation between her and Miriam which results in Moses's mother being brought in as a wet nurse. It also means that the emphasis for Moses's slaying of the Egyptian is put back on him, rather than his struggle to some to terms with a new identity or anything like that. By this point the film is only 4 minutes in, which strongly contrasts with DeMille's film. Obviously that film was around 15 times as long as this, but even as a proportion of the overall run time, this film deals with that part of the story much quicker (in the 1956 film it takes around half of the film's runtime). The other scene that particularly interested me was the one where Moses first appears before Pharaoh. Firstly, we're told it's a new Pharaoh, but he's played by the same actor. Presumably it was cheaper to make it this way, and a strong family resemblance is certainly not unusual. But it also gives the film a bit of extra meaning. It strengthens the link between these two Pharaohs (DeMille consciously tries to break the continuity by inserting an extra, more sympathetic Pharaoh in between the one who killed the babies and the one who was on the throne during the plagues. It also could be read as a symbol of Egyptian unity, or their facelessness to the Israelites. Perhaps I'm reading too much in. Secondly, both Aaron and Moses speak to Pharaoh. In the Bible Aaron is brought in as a mouthpiece for Moses, but it's unclear whether it's he or his brother that actually speak the words to Pharaoh - If Aaron was Moses's mouthpiece then it would not be surprising if words physically uttered by Aaron, were attributed to their source, Moses. Alternatively, it may just be that once Moses was inside the palace he found he didn't need his brother's help. From a cinematic point of view, it doesn't work so well if your leading man and hero figure seems to lack the courage even to speak so the majority of films have had Moses do the speaking. One notable exception here is the 1996 Moses which actually goes as far to give Moses a stutter first time we meet him. It's also the central theme of Straub and Hulliet's adaptation of Moses und Aron, but to go into that would be a major tangent. 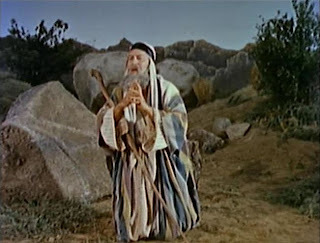 Thirdly, and again siding with the Bible against the majority of Moses films, Moses and Aaron's initial request is for three days time off to worship in the desert. It's never really clear in the Bible how this ends up as a request for permanent freedom - the most likely explanation lies in differences between the four sources that lie behind Exodus. Likewise here, it's unclear at what point the request changes. But it appears that rather than trying to copy the Bible's confusion, this is mainly due to the way that the plagues are shown through narrated over montage. Finally, the cries of the Egyptian people seem to have some bearing on Pharaoh's decision to release the Israelites. Again the voices of the ordinary Egyptians generally tend to go unheard in these films; Pharaoh makes his decisions either in isolation or only in the presence of his court. This is significant, because, the ordinary Egyptians probably also suffered greatly under their rulers. Looking at the Exodus story from their point of view is fairly disturbing. Having suffered under Pharaoh's lavish building programme they suffer terribly under the ten plagues culminating in the death of their children. Whilst a lot of them would have had roles in the Egyptian hierarchy, many of them would be entirely "innocent", in a sense, and the terrible suffering they faced at the hands of this loving God should trouble us and cause us to re-examine the passages in question. Whilst the film doesn't quite go this far, like the original text, it does at least allow the ordinary Egyptians a voice unlike other films which have bypassed such difficult questions by leaving them in the wings. 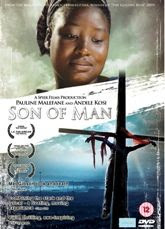 It's over two and a half years since Dimpho Di Kopane's Son of Man (my review) garned rave reviews at Sundance. Since then there's been a lot of interest about when the film is to be released, indeed it's perhaps the most frequent request for information I get. So I'm pleased to announce that the DVD finally goes on sale today. When I saw this film back in July 2006 it was on a screener DVD with a pan and scan aspect ratio, so it's nice to finally see the film in widescreen (16:9). The scenery becomes all the more impressive. The transfer is pretty good although on my DVD player there was a flicker at the bottom of the screen. No such problems on my laptop though (and my DVD player is getting on a bit now). The menu screens are nicely put together and the subtitles are towards the small side so they don't cover up too much of the action (they are however 'burned in'). There's also a good selection of extras comprising six featurettes. Each is around 3 minutes long and features excerpts from various interviews. As you would expect Andile Kosi, who played Jesus, features fairly prominently, as co-writer / translator Andiswa Kadame, and Ntobeko "Top C" Rwanqa (James). The Company talks about Dimpho Di Kopane, the theatre co-operative who masterminded the project. This is where the film's actors, singers and dancers are from, and the film explains how most of them were picked from obscurity. It also talks about how they collaborate and learn from one another. 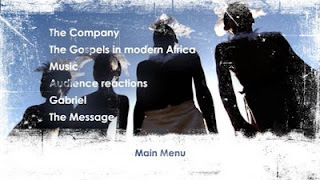 The Gospels in Modern Africa - Talks about the significance of portraying Jesus as a black man. Crucially, it also explains the significance of the way the resurrection is portrayed. That's particularly useful as it's one cultural reference point that will escape most northerners. Kadame also explains that Jesus's death was based on that of activist Steve Biko - something that was new to me. 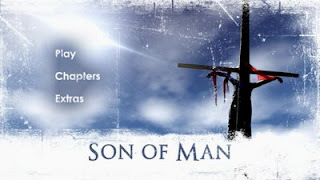 Music - Whilst Son of Man is not a musical as such, the music is as significant here as in any other (non-musical) Jesus film, not only contributing to the films distinctive African flavour, but also giving it a real intensity. This featurette talks a little about South African music, its dependence on rhythm and harmony and how much of it is played on hand made or improvised instruments. Audience Reactions - This was apparently filmed after a screening and we get a handful of views from those outside the project. This is really the only place where those outside the company get to discuss the film. As you'd expect they are all rave reviews. Gabriel - An introduction to, and an interview with, James Anthony who plays Gabriel in the film. Anthony was used extensively in publicising the film, and his angel Gabriel is easily the film's most iconic figure. In many ways the film in general tries to be anti-iconic which means that when the angels do appear, their appearance carries all the "wow" factor that is required. This allows Anthony and co. to act very naturally, (perhaps that should be humanly?) and results in making the supernatural elements of the film very believable. The Message - This is perhaps the weakest of the six segments though not without interest. Indeed Andile Kosi's admission that he never believed violence was the solution certainly informs the film's strong 'non-violent resistance' ethic as typified in the scene where Jesus asks his disciples to turn in their weapons. But it ends on Rwanqa talking about how the film is about "everyone being equal". Whilst that's undeniably one of the film's convictions (and certainly pretty laudable), I'm not sure that is the film's 'message' as such. Over at Abnormal Interests Duane Smith has posted the 35th Biblical Studies Carnival. Duane previous produced Carnival 21. Next month, it will be Jim West's turn. Jim previously produced carnival XXIX. Given how much work these entail that has come around very quickly indeed.